Luxury overnight trip with all the perks! 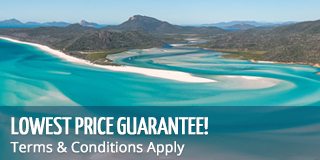 The Heart of the Whitsundays Package gives you the ultimate Whitsundays experience from the sea and the sky! This tour provides both a relaxing Whitsundays sailing experience, visiting all the most popular destinations of the region including the breath taking Whitehaven Beach and Hill Inlet Lookout. You will then spend an hour in the air getting a breath taking birds eye view of some of the natural wonders of the world, and rest your head at Coral Sea Resort! A spacious and comfortable sailing catamaran that boasts private queen cabins fully equipped with a DVD player and an en suite, Whitsunday Getaway is the best way to experience a sailing holiday in the Whitsunday Islands, pair that with a one hour scenic flight of one of the world's natural wonders and accommodation at Airlie Beach's famous Coral Sea Resort, it doesn't get much better! Hop on board Whitsunday Getaway and you will see first hand why this high quality vessel is ranked as one of Sailing Whitsundays' favourites! You are not just a guest on board this boat, but a creator of your own ultimate holiday having a say in what your trip will consist of. Choose from sailing among the 74 Whitsunday Islands, snorkelling with the exciting marine life of the Great Barrier Reef... the options are endless! 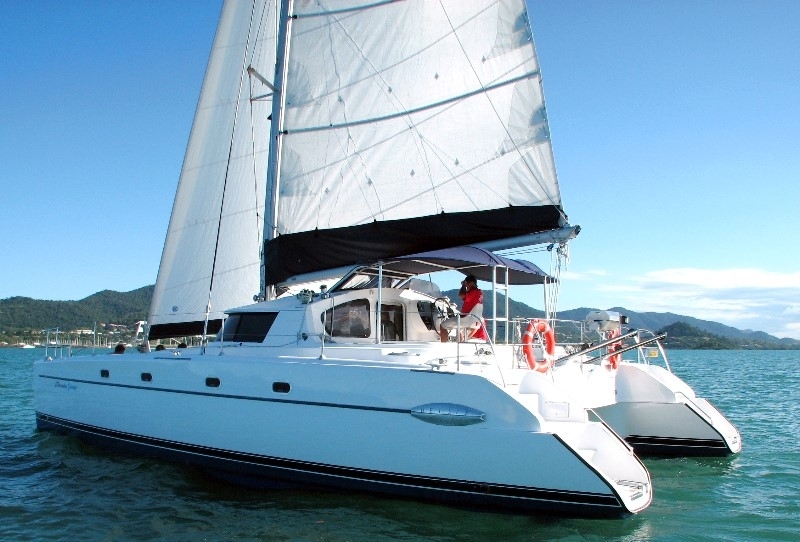 Whitsunday Getaway is a high quality catamaran that sets to raise the bar in deluxe charter vessels in the Whitsundays... you don't want to miss out! Your one hour scenic flight is a truly sensational opportunity to fly over the Great Barrier Reef. You will not believe your eyes as you soar above the picturesque islands, the infamous Whitehaven Beach and Worlds largest living organism that is the Great Barrier Reef! The opportunity to get a birds eye view of the islands and the reef should not be missed. See for yourself the stunning Whitsunday Islands and the beautiful azure blue and emerald greens of the Great Barrier Reef. Don't miss out on this once in a lifetime opportunity to create incredible and unique memories from high in the sky! Coral Sea Resort is located within the exclusive sea-side enclave of Airlie Beach, positioned on paradise point, is an oasis of luxury and tranquillity just moments away from the enchanting Airlie Beach. There is a uniquely nautical feeling in each of the spacious suites, which reflect the wonderful yachting heritage of the Whitsundays. Whitsunday Getaway - Please bring only a small soft bag with: change of clothes, hat, swim-wear, beach towel, sunscreen 30+, warm pullover for the evenings (seasonal). You will also need to bring your own alcoholic beverages, available for purchase at the marina or in town. No glass bottles please. Excess luggage can be stored at several places in town including your boat's check-in office, a 24 hour locker shop or at your accommodation. Most charge between $5-10pp for the duration of your trip. Scenic Flight - Don't forget your camera, polarised glasses alsohelp make the reef clearer. Whitsunday Getaway - Skipper, host, drinking water, meals, linen, bath towels, wetsuit hire, snorkelling equipment and all Marine Park fees. Whitsunday Getaway - BYO alcohol - no glass. Soft drinks available for purchase on board. Scenic Flight - All flights prices are per person and include GST and Marine Parks Fees.